Discover that the Bible is not a collection of unrelated books, but one story. When I was asked to review The Great Adventure Catholic Bible, I had no idea what I could possibly say about yet another version of Sacred Scripture. However, Ascension press managed to surprise me from the moment I received my copy. I had to laugh as I worked my through the weatherproof outer layer, not one but two boxes, and bubble wrap before I could lift the lid off a third box, a protective dust cover. Ascension Press ships this Revised Standard Version/Second Catholic Edition as if it is a precious gem, as they should. 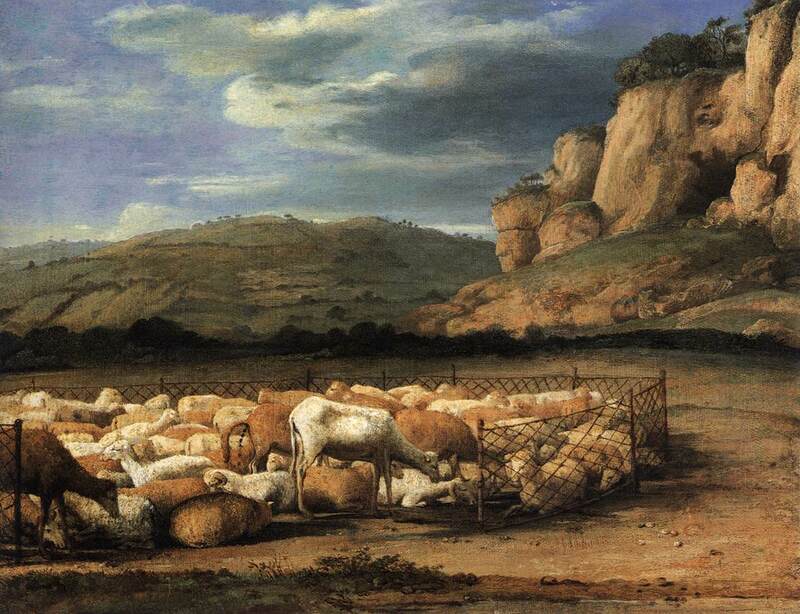 Flock of Sheep in the Campagna, Claude Lorrain Akademie der bildenden Künste, Vienna [Web Gallery of Art] GospelMark 6:30-34 (NRV,Version, Catholic Edition, Canada) The apostles gathered around Jesus, and told him all that they had done and taught.He said to them, “Come away to a deserted place all by yourselves and rest a while.” For many were coming and going, and they had no leisure even to eat.And they went away in the boat to a deserted place by themselves.Now many saw them going and recognized them, and they hurried there on foot from all the towns and arrived ahead of them.As he went ashore, he saw a great crowd; and he had compassion for them, because they were like sheep without a shepherd; and he began to teach them many things.